This morning, I see that there is mouse poop in my pantry. It’s true that I’ve heard the pitter patter of little feet around midnight. They seem to tromp back and forth across the first floor ceiling. I figured that I’d wait till after winter and call an exterminator. But this morning, I sweep up the pantry floor and realize that the dirt there is actually mouse poop, and that there’s more on the cookie shelf along with bits of foil wrap, but not just any foil wrap—Girl Scout Samoas foil wrap. Oh no, Ma’am. In the ceiling next to the HVAC duct is a classic mouse hole or two. So I’m taking things out of the pantry, and throwing a lot away, and taking other items out of their packaging and putting them in reusable containers and wincing because my hip has been hurting. The phone rings, and it’s the assistant at the doctors, and do I want a 10:30 appointment from a cancellation? Since it isn’t snowing that hard and it’s right around the corner, I jump at the chance. When I get there, the doctor is running 30 min late. Then she sends me for a xray. Then she tries to get me in to see the sports doctor right away (read: 30 or 45 minutes later). Then the sports doctor’s assistant comes out and apologizes and says really, they’ll be an extra 45 minutes. I say I need to go home to eat something, and I’ll be right back. However, while I’m at home, son #1 calls. He stopped to get me the mouse traps I asked for but they only have poison, which I don’t want, but while he was in the store, he left the heat and radio going for his brother, without keeping the car running, and now the battery is dead and can I come give them a jump. So I stop eating and get in my hybrid and go to help them. The wind has whipped up quite a bit, and I need to get back to my appointment, and my hybrid hood battery only seems to have a positive point. I can’t make anything happen so I bring the boys home and go back to the doctor. The sports doc sees me and basically diagnoses that my hip hurts. She has some idea where the pain is coming from, but it’s hard to really tell with soft tissue. Predictably, I’ll need to take ibuprofen or Aleve and find some time in my schedule for physical therapy. I tell my son I’m on the way home and he says that the AAA guy is headed to the car so come pick him up. I do and when we get to the car, the wind is gusting, and the snow is coming down about two inches and hour. Now that the AAA guy is there, my son can’t seem to pop the hood. He tries, and tries, and finally the plastic inside hood lever breaks off the cable. We are SOL. The AAA guy calls a tow truck and says it’ll be an hour. So I take my kid home and go back to wait the hour and there’s the tow guy! The car is already up on the truck, and he’s about to leave with it. Luckily I intercept him and let him know to take it to the shop and not back to my house. I inch home in what seems to be a white tunnel. Now I try to stay in the middle of the road so I don’t end up jumping the curb or getting caught in a drift. At home at 4pm, I turn the heat on under homemade chicken soup and pop two marshmallows in everyone’s hot cocoa. Snow day. Good thing I stayed home from work. It might be nap time. I’m making dinner (pesto tortellini, asparagus, and matzoh ball soup) when a mouse “small, grey, and bright eyed” (with apologies to Bonny Becker and the mouse) scampered across my stove. Did you hear me? Across my stove! I screamed and scuttled backwards which brought in my son and my dog who, upon hearing “mouse,” was ready to rumble. Through a course of events which included fire and entrapment, the mouse ended up in the jaws of Lucy the valiant (or beast depending who’s telling the story.) I will be getting many mouse traps tomorrow. As soon as I can dig out. If you missed it, last Wednesday marked the Jewish New Year. (Edited to add: Technically, Wednesday was Yom Kippur, the day of atonement after the new year, Rosh Hashanah a week before.) Civil, religious, or cultural, the new year gives us a chance to right our wrongs, wipe the slate clean, set goals, and get to work. Some of us need that more than others and therefore, I invite everyone to participate and take advantage of all new year celebrations. For me, the holiday is not about sin but about what I can do to move the world (or my little piece of it) towards peace, good health, and prosperity through good-work and kindness. I see it as sort of a sliding continuum with goodness at one side and discord at the other. At the end of the day I can look back and see what things made the sliding marker move towards one end of the continuum or the other. I can make an effort to live in a way that skews towards goodness and helpfulness. 1. I’ve found this year to be especially challenging. As of this writing my husband has been away from home for a year. We expect him back from his Navy deployment in February. This week, a single-parent friend of mine told me, “What you’re doing feels hard because it is hard.” It is. I yell at my kids when they are not to blame. The house is often a wreck even though I feel that I should be able to manage it. Long distance relationships are wicked hard. Take everything that is difficult in your own marriage or relationship and then add 6,000 miles to it. Yeah. Not easy. Still, positive thinking– skewing towards goodness– is a good goal. 2. The summer found me submitting my YA manuscript to five agents. I was pleased to get notes from each of them with helpful feedback. I wish the notes had been “Yes, and…” notes instead of “No, but…” notes, but there are still some open doors there and many more waiting for me to knock. I am using the feedback in another round of revisions and hope to have the manuscript back out and about by November 1. (Public announcement of goal. *check*) This paragraph makes me sound like robot writer– get notes, make revisions, send it out again. However, the late summer and fall were emotional and filled with self-doubt. Of course, my current life situation was a factor. (see #1) I sat down a couple of times to write a big post about self-doubt and fear in art but just couldn’t do it–couldn’t bare my soul. 3. Because of #1 and #2, I found myself looking for “real jobs” again. I applied to a couple right away, got interviews and didn’t make the final cut. I subscribe to the everything-happens-for-a-reason theory and believe that right now writing and taking care of my family need to come first. I’m still looking (searching “Event Planning, Teaching, Writing, Public Relations” in all possible job search engines) but hope to find something that starts more towards January of next year. 4. I am not idle. 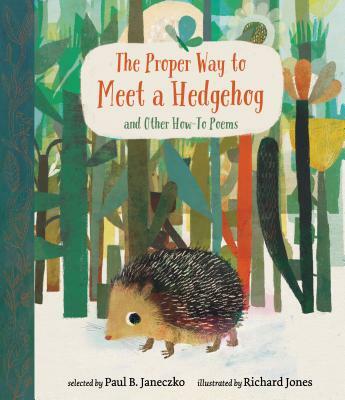 On Saturday, the 2nd annual Children’s Book Illustration Symposium took place at New Hampshire Institute of Art. As the main event organizer, I’ve been knee deep in those preparations for a good six-eight months. The event was a huge success. We had about 60 participants, wonderful presenters, and new this year– portfolio reviews. Evals are still coming in but generally, the symposium faculty and attendants were all pleased. 5. Friends and family have been so important recently. I’ve found amazing support from friends in my town who have taken my kiddos for overnights, or invited us to dinner. 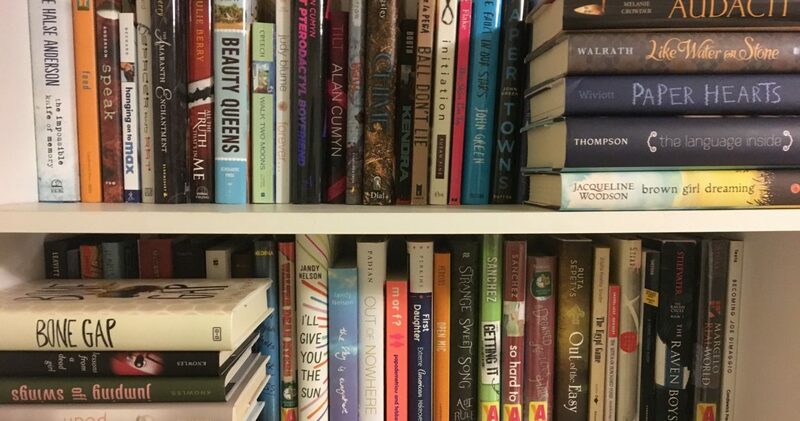 My bookclub and writer’s groups have been irreplaceable. Mom and sister know that they might have to initiate the contact but that I’m so grateful to get the call. For those of you who enjoy a capella, here is a parting song. Last night my family had a wonderful time together. Hubby has been asking all season to go to some Christmassy performance. I resisted, having already attended three "winter" concerts. Finally I agreed to the Christmas Carol by Portland Stage company. Before the performance, we drove into Portland for an early dinner. I used Google Maps and found a restaurant we’d never been to. (Portland is a serious foodie town. It is said that there are more restaurants per capita in Portland than any other US city.) We ended up at Hot Suppa! and I have to say that we had an amazing time. The menu was eclectic: I had a falaffel salad, hubby had an amazing gumbo, largish boy got a three side platter with the most delicious baked beans, mac & cheese and corn bread muffins, and smallish boy got baked fried chicken and a waffle. The portions were large, the food was great, our waitress attentive and kind. I’m afraid you’ll think us pigs but I have to mention that we took the holiday plunge and ordered dessert. The boys shared a slice of buttermilk chocolate cream pie and hubby and I shared a chocolate bread pudding with bourbon sauce. Incredible! Yes, it was the Christmas Carol and yes, it has been done a million times but… 1) I hadn’t seen the performance since largish boy (now 11) was in my belly and 2) the script was very creative. The director took the Dickens’ novel and kept much of the book, including scene setting and narration. The ensemble created a Greek Chorus of sorts and the lead actors even narrated some of their action. It was very interesting and engaging. The actors played many characters throughout the play and the changes of costume and role were deft. The music came from a single accomplished pianist/percussionist whose performance transformed the mood of each scene. At the end, this was the last performance for this cast, they presented a young woman who was headed to college and had been in the production for eight years running, an award that will be available to young actors in the future. It was very moving indeed. We topped of the night with a trip to the new Trader Joe’s in Portland. Hubby is planning a paella for Christmas dinner, we had to stock up on ginger cats, and 3 Buck Chuck, and the boys picked out cannoli’s for dessert. Here’s wishing everyone a very sweet and peaceful holiday season. PS: In the days to come…more about my insanely busy semester and how I fared. I’ve returned from vacationing in the land of Mickey! While I’m not an Orlando sort of person (I much prefer forests, mountains and streams to the concrete jungle) I had a great time with my family. We visited the Magic Kingdom, Animal Kingdom, and Disney Hollywood Studios. The creative minds at work there are just incredible. I’d love to be a fly on the wall while they create these rides. We saw a ton of theatre including Finding Nemo- The Musical which employs puppetry similar to the Lion King. The costumes and puppets were designed by Michael Curry who also designed the Lion King puppets. The experience was just incredible. Between our move and my husband’s travel schedule our family event nights: movie night, game night, Shabbat dinner, have been pushed aside. Tonight we reinstated game night and I thought I’d share some of our family’s favorites in case you are looking for family gifts. If you have your own favorites, chime in and write a comment. Set: This thought provoking game has deceptively simple directions. You have to create sets of three cards. Each card has four characteristics: shape, number, filling, and color. For the cards to make a set, the characteristics must be all the same, or all different. Take Off: Get your fleet of airplanes around the world before your opponent. You toss colored dice that take you on various paths towards your destination. If you roll a "Take Off" you draw a card to a city somewhere in the world that could move you forward or back. A fun game and neat teaching tool for geography. 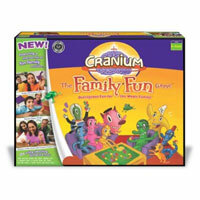 Cranium Family Fun: Unscramble words, find objects in your home, identify pictures, draw, act, and guess your way to fun as the sands of time fall through the hour glass. You work in teams for this one so it is especially fun when two families get together.